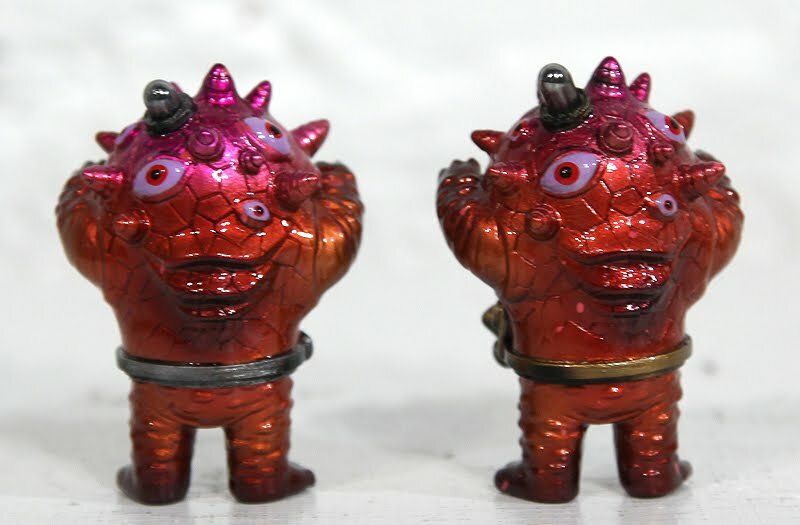 I’ve been wanting to work with Todd Robertson for awhile now since he sent me pics of a Mecha Eyezon. 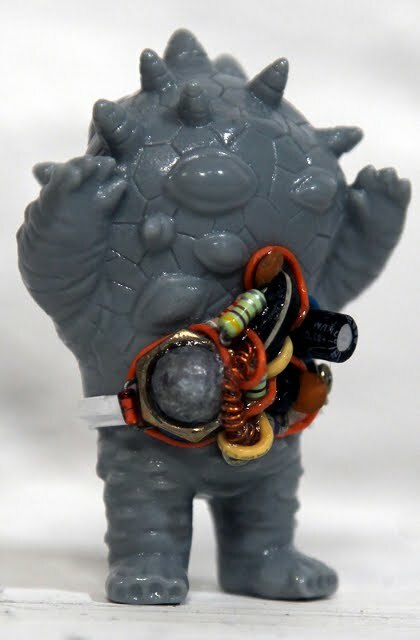 Todd’s created quite a following in the custom toy world for his mash ups of vinyls , particulary Kaiju, and Mecha parts. These parts can include circuit boards, old vacuum tubes, metal springs and just about any type of mechnical parts… all deftly placed and arranged to work flawlessly with said toy. 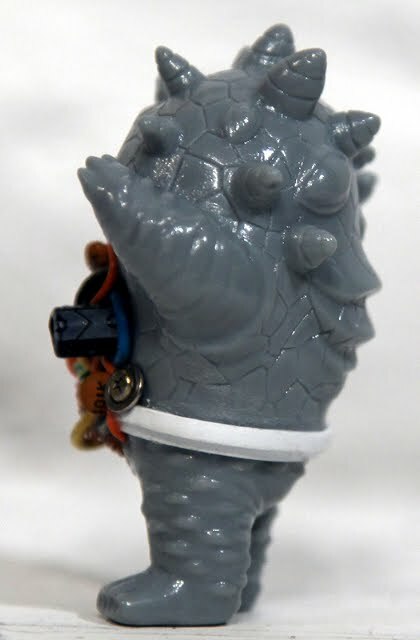 Its Todd’s sense of design to meld the Mecha parts with the toy that really sets his customs apart from others. 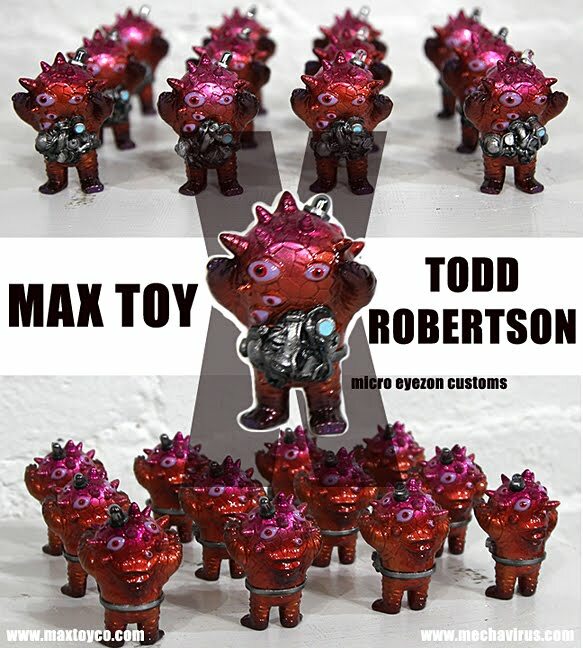 There’s not much area to work with on such a small figure… but Todd has made good use of his Mecha parts… and the cherry on the top is the added element to the top portion of Micro Eyezon ! 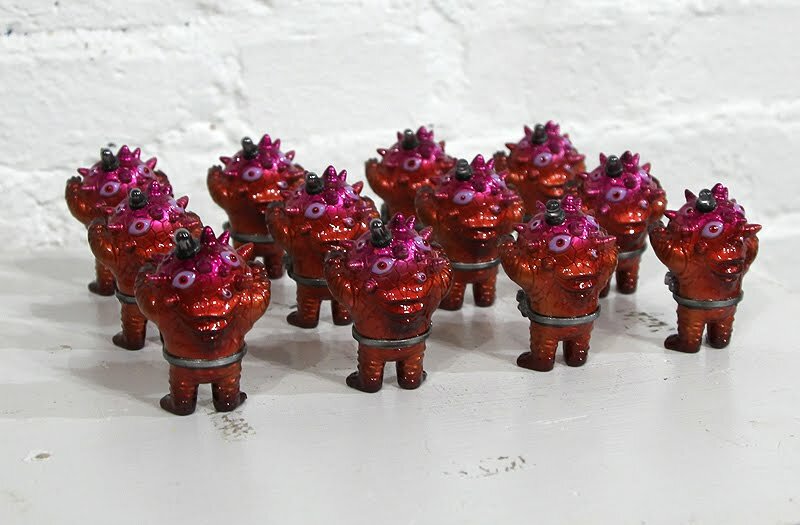 Here’s a group shot of the finished pieces. While they look similar, they are actually all different… in that no two have the same array of parts and or paint. Look at the details to the eyes .. each one hand dotted and finished !